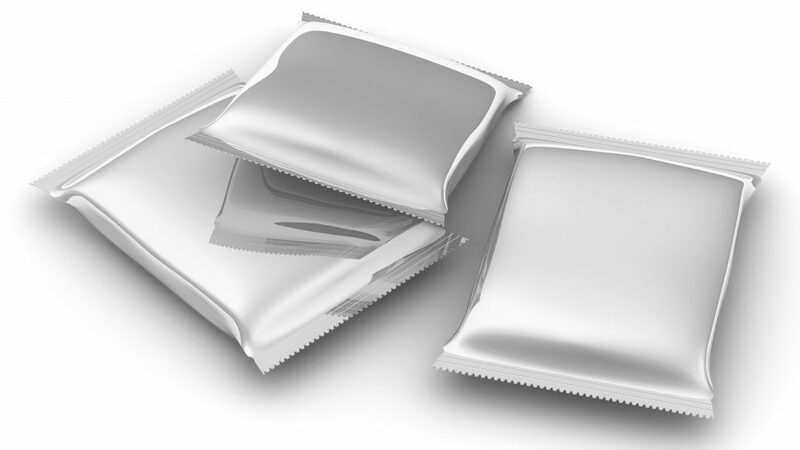 Flexible packaging is a package or container made of flexible or easily yielding materials, which when filled or closed, can be readily changed in shape. The construction may be of paper, plastic, film, foil, or any combination of these. Blister Packaging: Blister packaging contains the product between a formed dome and a flexible surface or paperboard. Fitment: A fitment is a device that attaches to a container to provide a specific function to the product, such as dispensing a liquid or foam. For example, a fitment might be attached to a liquid cleaner container. Four Side Seal Pouch: Pouches with seals along all four edges. The flat sheets of the pouch can come from a single stock or different stocks for the front and back. Good Manufacturing Practice (GMP): GMP is a process by which the product is manufactured in such a way that any risk to the consumer has been minimized. Some GMP processes are guided by federal and state regulations, while others are considered best practice principles. Gusset: A gusset is a fold on the bottom or side of a pouch, which expands the pouch when contents are inserted. Hermetic Seal: A hermetic seal is a flexible packaging term that refers to material that is impervious to fluids or gases and/or is airtight under normal circumstances. Lap Seal: Created with two layers of film that overlap each other, a lap seal uses less material than other seals, which makes a lap seal a better eco-friendly alternative in flexible packaging. Light Resistance: When a material can withstand exposure to light without changing the chemical properties, physical properties or color, it is considered light resistant. Pouch: Pouches are defined as a small bag consisting of two flat sheets that seal along the edges. Pillow Pouch: A pillow pouch is a pouch or bag that looks like a tube with a seal at both ends. Stand-Up Pouch: A stand-up pouch with a wide base to allow the pouch to stand up without tipping over. Three-Side Seal Pouch: A three-side pouch has three sealed sides with an open side, often with a seal. Unit Dose Package (UDP): Commonly used in pharmaceutical products, a UDP holds individual items separate from each other. At Liquipak, our facility is both FDA and EPA registered for packaging a wide range of products. We are an ISO 9001:2015 certified operator and have been a leader in the liquid and semi-liquid products packaging industry for over 50 years. In that time, we have provided solutions for a number of industries including detergent, pharmaceutical, dental, cosmetics, first aid, and automotive aftermarket flexible packaging. Please contact us to learn more about how we can help your business produce a flexible package that will help your product stand out from the competition.